8pcs to do one pallet, One 20" container can load about 80pcs. 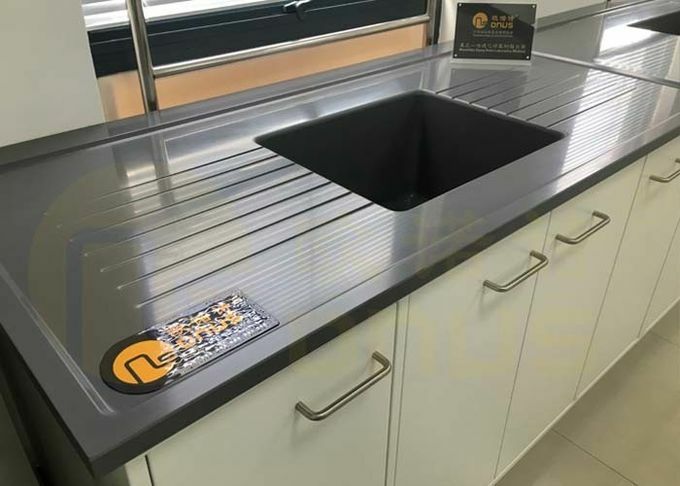 Functionally, phenolic and epoxy resin countertops are very similar. The main difference is heat handling capacity. As previously mentioned phenolic resin countertops perform very well with continuous heat exposure up to 350°F (176°C). Epoxy resin will handle higher heat loads including open flame. 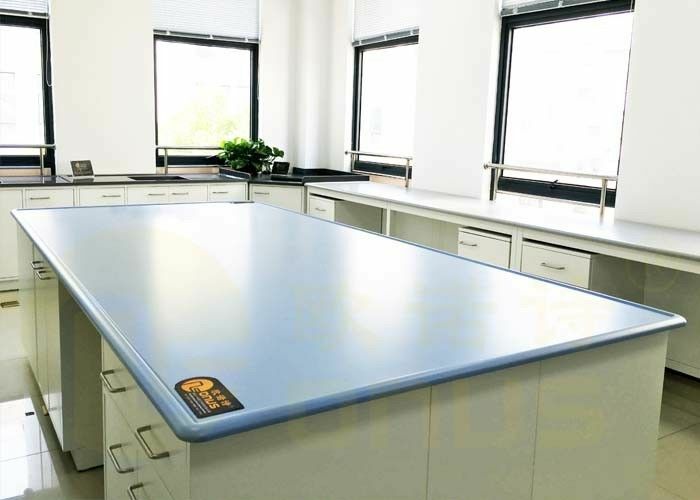 No joints for whole worktop, has large operate space and nice appearance. There is groove on the edge, any of liquids can flow into groove, and very easy for clean groove. Radius edge is conform to ergonomics, it's comfortable for staff. Edge: efficetively reduce the potential risk of glassware fall into the ground.